There are a million and one ways to cook salmon. This is my go-to recipe. It's simple, delicious, and healthful. I mix up the seasoning and store it in a ziploc baggie. For lunches, I'll pull a filet out of the freezer, defrost, add the seasoning and bake. Easy! Mix together salt, pepper, onion, and dill weed. 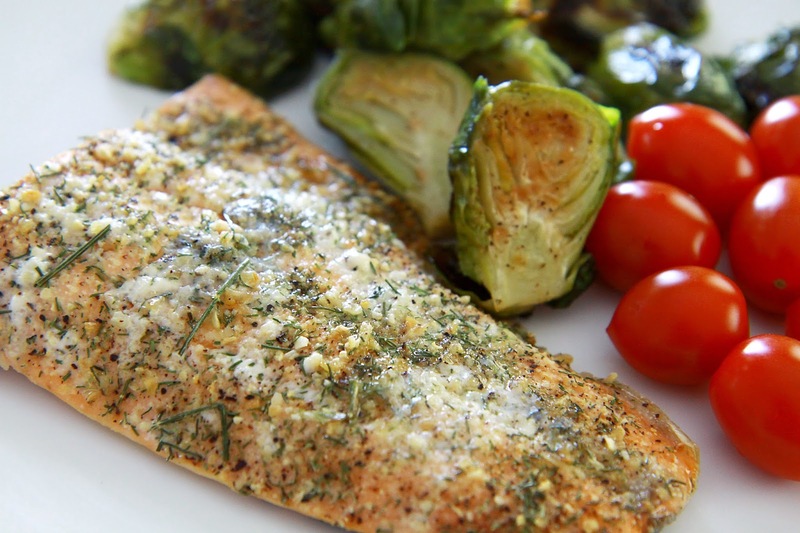 Sprinkle liberally over salmon filet(s). Put 2 pea-size dots of butter on top of each filet. Bake at 375 for 10-15 minutes or until fish flakes easily with a fork. For super easy clean up, line your pan with foil for baking.